Step 1 is to admit you have a problem. I am a popcorn addict. Ever since learning this method from The Kitchn I literally can’t. stop. popping. popcorn. 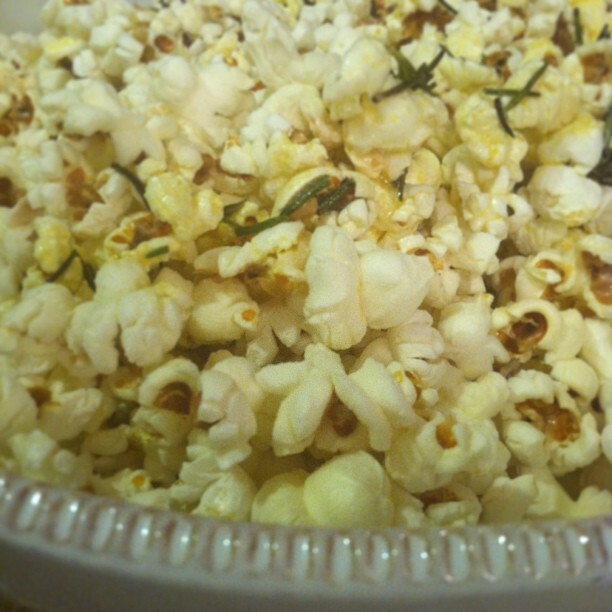 Inspired by the night of the Mustard Butter Popcorn, I took a gamble with my kernels and introduced them to a stash of fresh rosemary, whose days were seriously numbered. Oh and butter. There was definitely butter. 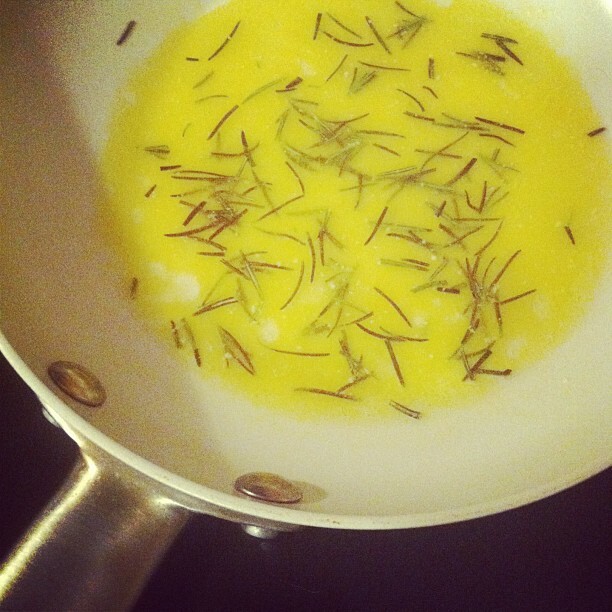 Melt/brown butter in a skillet with the rosemary, garlic powder and salt. You’ll know its done when it is beautifully fragrant. Drizzle on the finished popped popcorn and toss to combine. Oooooh the taste is heavenly! So savory and fulfilling, each kernels soaks up the flavor nicely yet isn’t overpowering. Promise me you’ll try this.